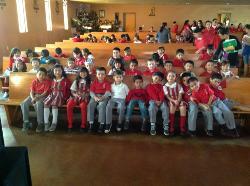 In general, School of Our Lady follows the course of instruction issued by the Office of Faith Formation in the Orange Diocese, and that of the State of California including the Nationally Aligned Common Core Standards. 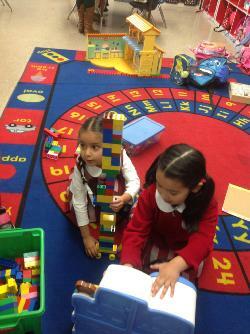 TRANSITIONAL KINDERGARTEN: This program provides education to our four year old learners. It provides students with a foundation towards academics, along with a Religious Education. Students in Transitional Kindergarten learn what it means to be a student, and will be prepared for our K-8th program once he/she graduates. KINDERGARTEN : Kindergarten is an academic program that helps five and six year olds develop language, motor, and social behavior skills. Textbooks in reading readiness, language arts, mathematics and religion are used to help develop skills and attitudes. Learning units in science and health are used. Reading is taught in kindergarten. SUBJECTS : Students in the TK-8th Grade are taught the main subjects including English Language Arts, Literature, Mathematics, Social Studies, Science, and Religion. 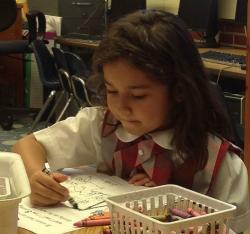 For students in TK-5th Grade Handwriting is also a component of ELA. PHYSICAL EDUCATION : The Physical Education program consists of lessons to build and strengthen fine and gross motor skills and coordination by using calisthenics, relays, ball handling, and other skills for various life situations. Thanks to a Grant, America on Track is a program that has worked with School of Our Lady to teach health and physical education with the use of Catch Boxes. Students also use pedometers and are interested in keeping themselves physically fit. EDUCATIONAL TRIPS : Each class participates in educational field trips during the school year. Field trips are determined and organized at the discretion of the teacher with the assistance of parents, and permission of the principal. These trips are related to the curriculum studied and are supervised by the teachers and parents. The students will travel by chartered bus or private cars. Our school insurance covers students while on sponsored trips. Each student must have a permission slip signed by his/her parent or guardian, and must have paid the necessary field trip fees in order to attend. If students do not accompany the class on the field trips, they will stay at school and complete assigned class work. If a permission slip is not forthcoming the child will remain on the school premises. No phone calls or other notes granting permission will be accepted. TECHNOLOGY : Transitional Kindergarten through 4th Grade, classes are assigned a time in the daily academic schedule with their teacher. 1:1 iPAD PROGRAM: To prepare our students for the 21st Century, students in Grades 5-8 experience a program of blended learning. Technology in the hands of every child, all day long, allows for our students to receive individualized instruction, which helps them meet and exceed the Common Core Standards requirements. ART: With our art program students are able to express themselves creatively. Students use a variety of mediums including paint, oil pastels, watercolor, etc. to relate to Religion, themselves, and to broaden their spectrum to learn about artists and what they experienced through art history. STUDENT COMMUNITY SERVICE HOURS : In order to bring our students to a fuller understanding of our Catholic faith, School of Our Lady teaches all students to live the Gospel message and become involved with helping the community and those that are less fortunate. 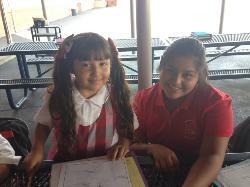 Students show their commitment by completing service hours as a requirement for being promoted to the next grade level. The following are the hours expected for each grade per year. 5th-8th: 5 hours per trimester.